ABOARD THE AMASONATA – It is Saturday, so it must be Bulgaria. And if you didn’t happen to see a sign informing you that, you could tell by the way the locals here answer your questions. If they nod their head up and down, it means “No.” If side to side, “Yes.” Just the opposite way you would expect, and about the opposite of anywhere else in the world, so the AMAWaterways crew warns us to learn at least two words in Bulgarian – “Da” for yes and “Ne” for no, so that we know for sure by listening to them and not looking at them what their answers are. 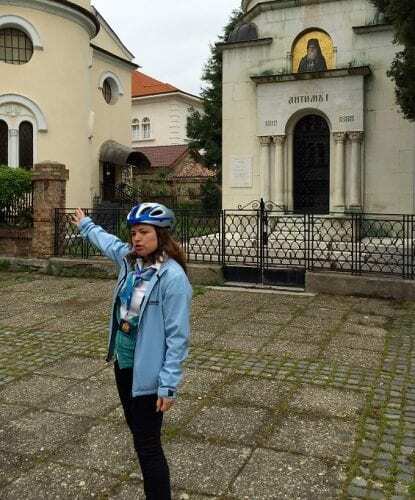 We hop on our bicycles for a guided morning ride through this sleepy little town that the ship’s daily cruise planner calls “Extremely off the beaten track,” to catch a look at its best-known sites, beginning with the Triangle of Religious Tolerance. 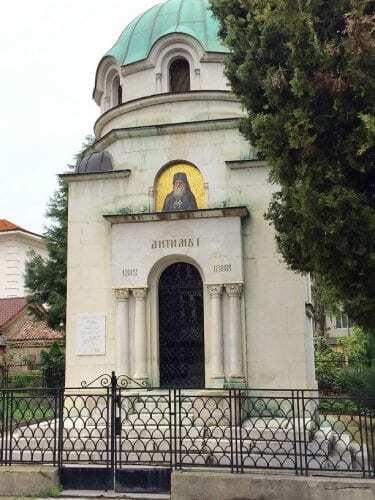 The “Triangle” includes the Orthodox Cathedral of St. Dimitar with its icons and frescoes, the mosque, and the synagogue. The nearby mosque is, of course, a nice tall building several stories high, but instead of the traditional crescent moon that traditionally tops an Islam mosque is a shovel head. Our guide explained this with the story that the builder of the mosque wanted to show the world that he was independent from Istanbul. A second story about the shovel is that really, it is a heart, which was made to show one of the ladies who lived in town that the builder was in love with her. The saddest religious building in town is the synagogue, an architecturally beautiful structure that has fallen into a terrible state of decay and ruin. At one time it was turned into a warehouse and now sits empty and open to the weather, with weeds growing out of what is left of its roof. There are no Jews left in town. 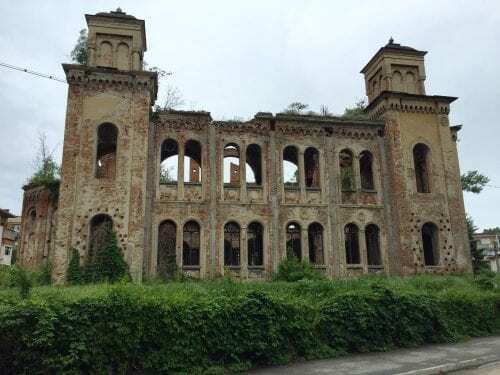 Most of them headed to Israel when it became a state, and Vidin has no money to repair the building. 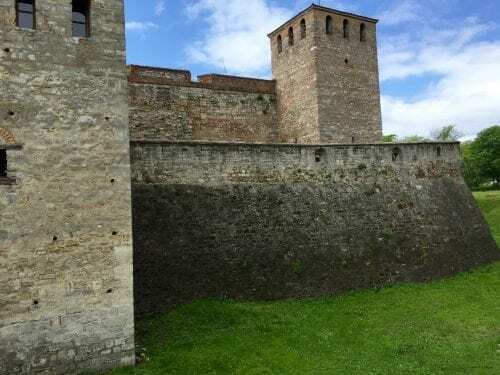 Our last stop on the bike tour, back in town, was the 10th Century Baba Vida fortress, regarded as the best-preserved medieval fortress in Bulgaria. It was built on top of a Roman citadel from the 1st Century, and you can still see the Roman stones down in the first two layers of the foundation. It was extended and strengthened by the Turks in the 14th Century and today the fortress serves as backdrop for theatrical performances. This afternoon we were all back on the boat in time for the dressy farewell cocktail hour and captain’s dinner as our riverboat moved quietly down the Danube to Bucharest, our last stop on the cruise.